Details regarding the core principles of GM Learning can be seen below, however a note of caution we are still very much in the draft stage and things may well change! We are in the process of developing a ‘feedback policy’ apposed to a ‘marking policy’, which gives autonomy to departments to shape aspects of the whole school policy; a policy with core elements but enough flexibility for different teaching approaches. 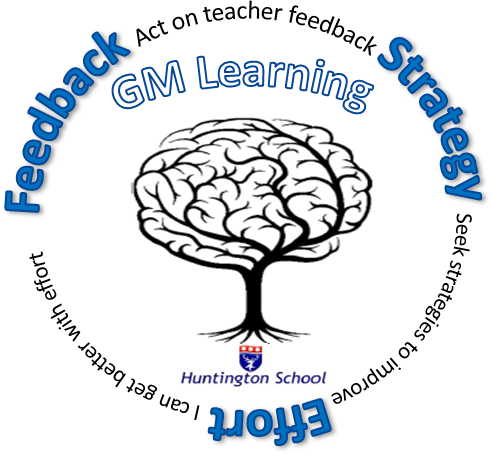 This combined with a interactive feedback toolkit; comprising of ‘talking heads’ student videos and feedback evaluation tools using student ratings, should be the first step towards developing this aspect of GM Learning. Think carefully about the language they use in every interaction with every student. Give students constructive feedback about their work, and then allow them time to act on it. Set high standards; challenge students from the start. Allow students to learn from their mistakes and develop perseverance and resilience. Use the right kind of praise; praising children’s intelligence harms their motivation and this ultimately harms their performance. Much more work to do, but we have a plan! Thank you to everyone who has collaborated on this work and sorry if we have failed to reference anyone. One year on; we conducted the Growth Mindset diagnostic questionnaire with our Key Stage Three students for the second time. Although not scientifically valid or even recommended by Dweck. We knew that already having a database of GM scores was an irresistible chance to fly with convention and retest our students. The results were interesting to say the least. See our average pre and post test results below (NB* Average of 8 GM questions graded on a scale of 1 Fixed – 6 Growth). We conducted some targeted GM interventions with a small group of students; you could call it ‘a Growth Mindset boot camp’. These results show an upward trend, but are less successful, on average than our whole school work (NB* very small sample size). Decipher that one if you can! Students’ understand ‘that working harder makes them smarter’ they get the concept that their brains are malleable and can be developed through hard work and effort. The Growth Mindset theory shows use that teaching students’ ‘how their memory works’ opens up the learning brain and helps reinforce the notion that memory can be improved and developed. Read the book; think about the possibilities of the human brain. 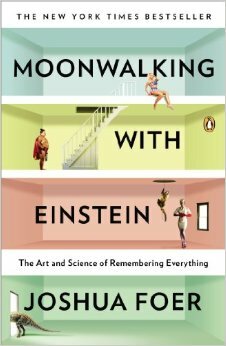 Understand how your brain works and see our journey into the world of memory below. We gained feedback from staff. What are Huntington School’s most successful ways to help students encode information? See our summary of the 10 most effective ways to encode information to memory. Please use our great pictoral resource, we presented this to all our Year 11’s during their revision period. Teaching key Stage 3 students how their memory works. Why not get your students’ to design a new logo. Use the attached pro-forma to run a competition. We now use it on all our publicity material. 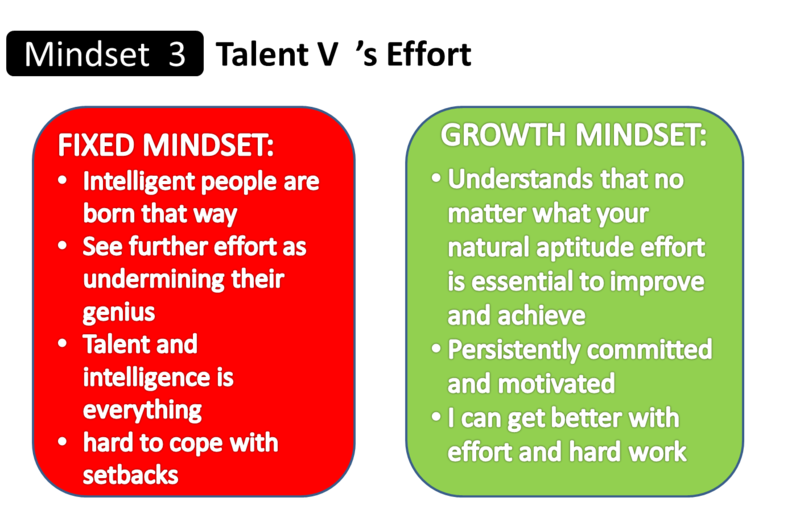 Sent this simple presentation to all staff to reinforce the Growth Mindset theory. See what you think? What the Best School do….. The following points are generated from our initial research into student motivation (reading materials are referenced below). Build a culture of excellence-children will then fit into this culture because it’s expected. Students need to value something-raise the bar in terms of expectations. Have higher expectations in everything: more trust, more responsibility and deeper and broader accountability. ‘Insist on a culture that thrives on being stuck and finding a solution that isn’t simply to stop work, put up your hand and wait to be spoon fed’ Mistakes are essential steps to competency link failure to factors that students can repair. ‘I believe that work of excellence is transformational….when students see their best work’ Ron Berger. Schools should focus on quality not quantity. Produce work that reflects or represents excellence for that child. Challenging goals are vital even for low-level learning. We need to see students working much harder than teachers. We are looking for; students working hard, enjoying their learning, making progress and above all in flow. Always look for outstanding examples of work-have a library of these resources. Have quality work celebrated everywhere. Show what quality work looks like find inspiration-critique strengths and weaknesses of quality work. What makes this work strong? Model outstanding practice and use models to set the standard of what to aim for. Cultivate positive peer pressure-get students to buy into a culture of excellence. Use peer pressure and class pride to raise standards (culture of excellence). Resist a high praise culture for low effort. The teacher qualities that matter to students are as much about how they are treated as how they are taught (Rudduck 1998). If the teacher does not like them (even perceived dislike) students are unlikely to be interested in the subject taught. They particularly dislike teachers who do not bother to learn their names. Engagement is transmitted through classroom climate. Engaging research is not only great for staff but works with students too. Encourage staff to engage in educational research. The best schools; develop research/action research across the school. Allow staff to develop –researching, training, information sharing. ‘if we had a grading system in my school it would have to be described as this: a piece of work deserves either an ‘A’ grade or a not done’. Allow students to re-do work or take re-tests. Let them have the chance to improve (DIRT). Adopt a ‘love the one you’re with’ strategy to improving teachers’ pedagogy. IMPROVE TEACHER PERFORMANCE-the single largest effect on student outcomes. Use professional development as the first phase of teacher development. Remember it’s what you do in the classroom which truly affects the children and young people you work with. Don’t buy talent buy mindset! The best teachers look at the evidence of their teaching, through their students. They look at the way their students learn and respond/reflect on what they have seen (adjusting their teaching to suit). Research found; the use of assessment to inform instruction, particularly at classroom level, in many cases doubled the speed of student learning. Foster great teachers and achievement will follow (Dylan Wiliam). Only ask questions that; cause thinking or provide information for the teacher about what to do next. You must plan effective questioning-this is a must… plan a series of questions, not just single surface questions. Reasoning questioning has high impact. Allow time to act on feedback-provide extension activities for students who complete feedback before the allotted time is up, this allows all students the time to develop their work. Feedback is a recipe for future action-make feedback constructive. 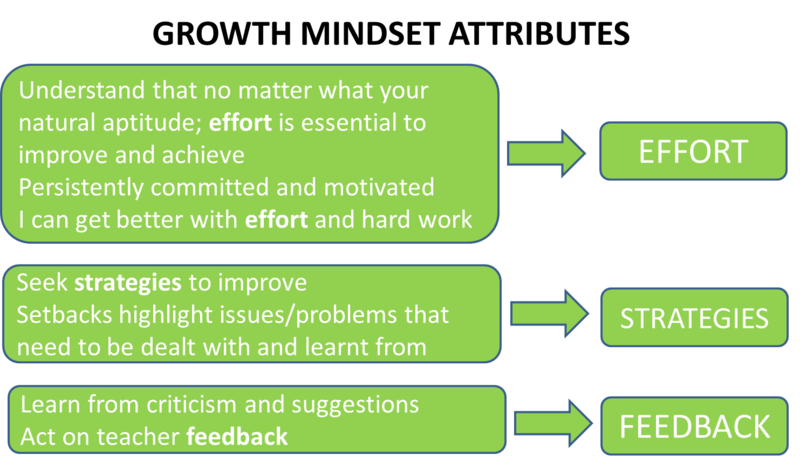 Give less but more focussed feedback. ‘Integrate formative assessment practices into lessons for substantial increases in student achievement’ (could be 70-80% increase in the speed of learning). Whole-class instruction is the students’ least preferred way of learning! Reduce teacher talk it disrupts flow 30% teacher led 70% leading own learning. Schools can influence student mindsets and ultimately improve motivation. Get every member of staff to make a small shift in their embedded practice. This will then have a seismic effect in overall outcomes. As a teacher show you love learning, have a passion for your subject. This passion is infectious. Feel safe-safe to take risks-safe to care about trying hard. Experts have high respect for students. Experts have long term, working memory. Teach students memory techniques and the workings of the brain. It’s been 128 days since my last blog…. 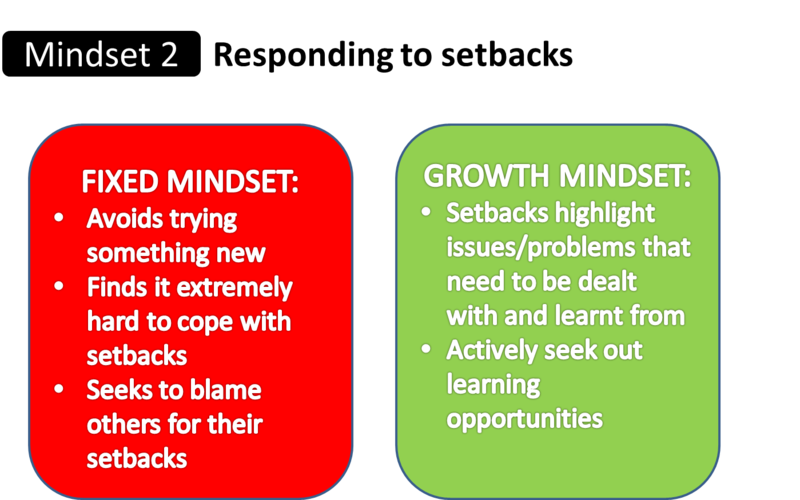 The following charts our journey at Huntington School in developing a ‘Growth Mindset’ culture. Follow the 10 point plan-take from this as you will! How do we develop student motivation and raise aspirations at Huntington school? We read every book we could find; talked to students and staff; worked with Zoe Elder (many thanks for the initial guidance) on shaping our vision and more importantly focused very squarely on our end goal. What did we find? See our initial results below, it makes interesting reading. Feed your initial findings into your planning. Plan and then plan again. Raise the status of the work by making it a whole school development priority. Don’t treat it as a woolly or fluffy piece of work that looks good on the surface but lacks substance. They said no posters please! Make people buy into it, we only have two whole school development plan strands. Give staff the responsibility to develop this aspect of pedagogy, we have invested in a Junior Leadership Team (JLT), provide them with training and make them accountable, ultimately trust them. Weave priorities into the Performance Development cycle. Expect all departments’ to show how whole school priorities feed into departmental work. DEVELOPMENT STRAND DS2: How we will develop a Growth Mind-set throughout the school. 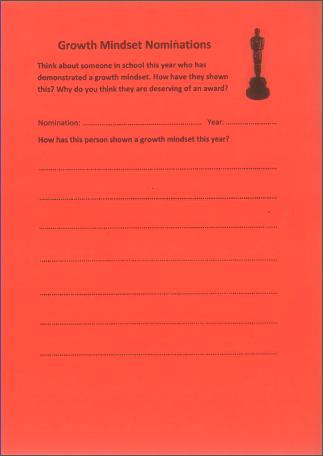 2.30pm-4.30pm 15th July 2013 the last week of term –undertake initial training on the introduction to ‘Growth Mindset’ theory. Remember the naysayers (see diffusion of innovation model below), people thought we were mad! Session 1: Whole school session led by the Headteacher-The message is clear we value this. Session 2: Smaller more intimate groups led by the school’s Junior Leadership Team and supported by an SLT link. Were we wrong training our staff then? See our staff feedback responses below and make your own decision. Use the attached questionnaire to establish a baseline by testing your students. Use this data to find your school average. Our school average is 3.98.We tested every student in the school and we have the evidence to prove it. We gave staff the opportunity to undertake the test, anonymously of course. Remember Just knowing your Mindset score can change your way of thinking. Train your staff to train your students. To adopt a more consistent approach to training we spent a considerable amount of time planning and implementing 2 x one hour training sessions with our students. See our bespoke training materials below. We genuinely value the feedback from our students. We use their feedback to inform our planning. See some of their responses below. These were just a snap shot of the 200+ pages students generated from the training sessions. Some of the ‘effort based’ success stories were truly inspiring. Use your staff and student feedback to inform your planning. Respond to what they say, people are more likely to ‘buy’ into your concepts. Take account of the ‘laggards’ see the diffusion of innovation model below. See our A3 planning document term-by-term, fluid-like in its approach. We are constantly changing and modifying it to suit our school environment. Termly ‘mantras’ work well. Some of the work is very subtle and deals with developing subliminal messages to students. Lots of work goes into doing simple things really well. We responded to staff feedback by focussing closely on the way we write student reports. 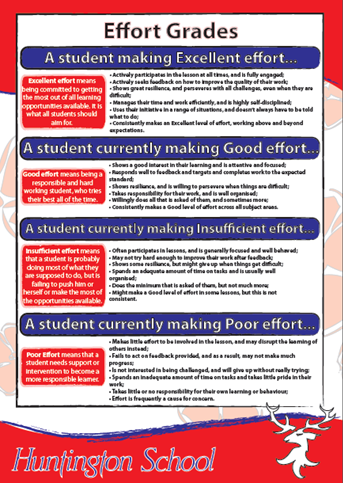 How do you write a Growth Mindset focussed report? Does it really matter what language you use when talking to students? Research shows that the subtleties of language leave an indelible imprint in our students’ minds. Focus on effort-based statements and avoid intelligence led language. Terms like ‘Gifted’ or ‘Talented’ are banned. 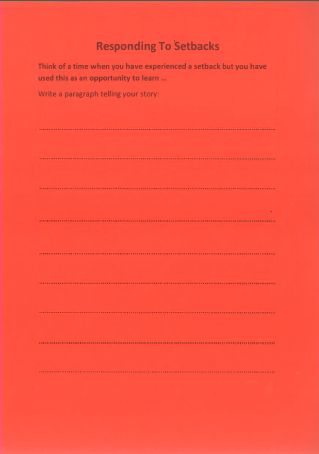 Use our report writing help sheet as an aide memoire when writing your reports. Originally we wanted to ‘change the world’ now we understand that less is VERY much more. Focus on doing the best you can really, really well. If we only do one thing well this year and we embed it into the culture and psyche of the whole school community, we will have been successful. Our main focus, for the remainder of this year is to work on ‘effective feedback’ strategies and embed DIRT (Dedicated Improvement and Reflection Time) into more lessons. More to follow in less than 128 days! 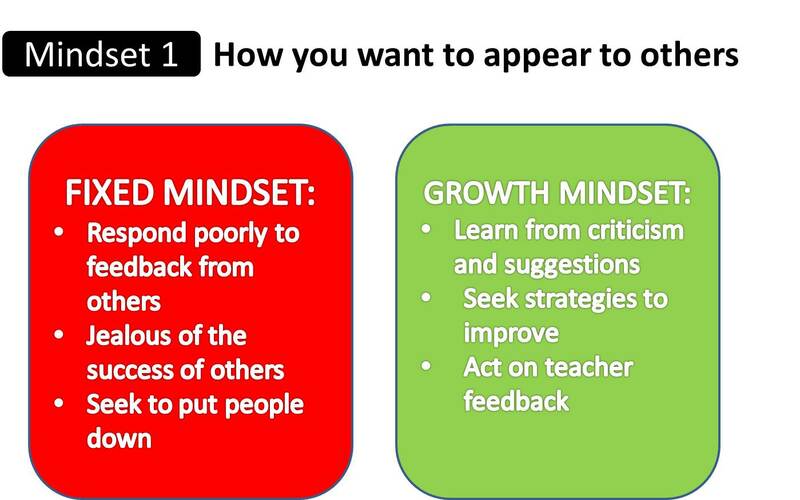 Please give me feedback it’s in the spirit of Dweck; be gentle this is all very new!